Two days ago, The Foreign Press Association in Israel (FPA) invited Dr Dore Gold, the Director General of the Israel Foreign Ministry and the former head of the Conservative Think Tank JCPA to present the Israeli government’s position on Iran and the nuclear talks. The FPA then gave me the floor to comment on the official Israeli government’s position, as presented by Dr Gold. The summary of both of our comments was published in this report by the Jerusalem Post. Here is a summary of my points. Meir Javedanfar, an Iranian- born analyst who now lives in Tel Aviv and lectures at the IDC Herzliya, took issue with some of Gold’s statements Because Iran is obliged to allow inspection of undeclared sites, it cannot hide nuclear activity, he insisted. “Nuclear material is extremely difficult to remove from air, land, or water,” he said, and therefore no matter what Iran might do, it would not succeed in hiding its nuclear operations. Javedanfar also made the point that if the Iranians had wanted to make a nuclear weapon, they would have done so before the agreement. President Hassan Rouhani does not make any decisions without the instructions or approval of Supreme Leader Ayatollah Ali Khamenei, said Javedanfar, who remarked that Khamenei is now distancing himself from Rouhani and letting him take the blame for anything that looks like compromise on Iran’s part in the agreement. “If you want a moderate Iran, you have to worry about Rouhani,” he said. Javedanfar left room for hope by saying that “Iran’s image in the region is starting to nosedive.” Iran’s ethnic cleansing of Sunnis is impacting on the region and is contributing to a strong anti-Iran coalition, said Javedanfar. Talking peace with Palestinian Authority President Mahmoud Abbas would make Israel’s position more acceptable in the region, he added. In 2010, Prime Minister Netanyahu and former Defense Minister Ehud Barak ordered the Israel Defense Forces to increase their level of preparedness, in order to entice Iran to attack Israel. They were hoping to destroy Iran’s nuclear infrastructure in retaliation. The former head of the Mossad Meir Dagan and the former IDF chief Gabi Ashkenazi refused this order. Why were they not imprisoned? because Netanyahu and Barak were acting illegally. They had issued the order, without consulting the security cabinet. This is a decision to be made by the security cabinet and not just the Prime Minister and Defence Minister. Thats why. Otherwise the head of Israel armed forces have no right to refuse the order of the Israeli public’s democratically elected representatives. If they do so, they would be breaking the law. At this year’s Jerusalem Post conference, Caroline Glick, the hard-line conservative editor of the Jerusalem Post attacked Dagan and Ashkenazi for not attacking Iran, and for not listening to Netanyahu’s illegal orders. And she was applauded by the participants! 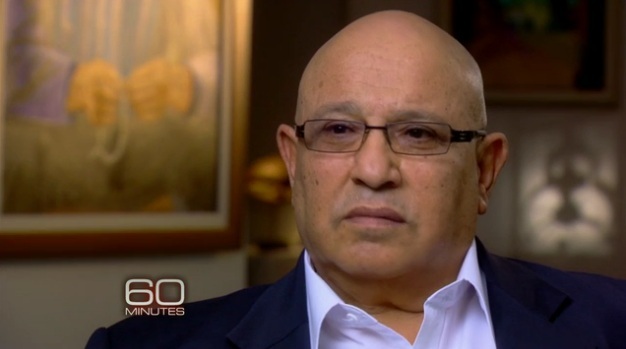 Watch her remarks and Meir Dagan’s reaction. #Classic. This is the same conference in which Obama’s Secretary of Treasury was booed. And now Yinon Magal, a member of the extremist Bayit Yehudi party wants Dagan and Ashkenazi to be subpoenad for having refused Netanyahu’s (illegal) order. Good luck with that! The law in Israel is on their side. 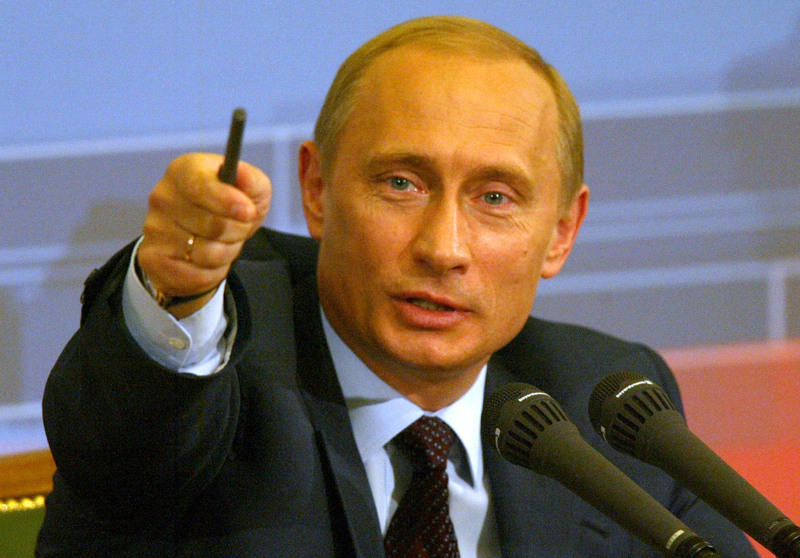 What does Putin think about #Iran and #Israel security concerns? Yesterday, Iran and Russia signed a military cooperation deal. The deal provides for joint exercises and military training, as well as “cooperation in peacekeeping, maintaining regional and international security and stability, and fighting against separatism and extremism,” the Iranian defence ministry website said. It’s not clear whether Russia will finally supply the S-300 missiles as part of this latest deal. Some say a solution has been found but many in Iran will be forgiven for not trusting Russia. Time will tell. It must be remembered that in 2007 Iran and Russia signed a $800 million agreement according to which Russia was supposed to have been delivered the S-300 missiles. Since 2007, not only Russia has not delivered the missiles (which it had built), it even went as far as dismantling and recycling them. Iran decided to launch a lawsuit against Russia, demanding $4 billion in compensation. There are people both in Israel and Iran who mistrust Putin. They see him as someone who can not be trusted. The question is: what does Putin think about Iran and Israel’s security concerns? Does he dismiss them? Does he think Israel is exaggerating? Does he believe that Iran is the victim or the aggressor? This segment of his interview which he gave to the Kremlin controlled RT shows his opinion. It was filmed in June 2013, before the Ukraine crisis. Nevertheless, I think it says a lot about his level of understanding regarding both countries, and their security concerns. Tonight I shared a panel with the Iranian regime’s PressTV channel correspondent in Israel. The panel was hosted by the Tel Aviv based I24 news. Hamad Awidat who reports for the Iranian channel belongs to the Druze minority in Israel. He lives on the Golan Heights. I have my views regarding PressTV as an organization. Its nothing against Hamad as a person. He is a very nice guy and I enjoyed exchanging opinion with him. I look forward to many more and wish him the best. And as usual I24 news channel proved yet again why they are a trendsetter in this country. They host people from all political views and groups. In fact they are one of the few, if not the only Israel based TV station to interview Hamas spokespersons, direct from Gaza. I know because I was in the studio and saw it live. I must say that I found tonight’s experience quite strange. The Iranian regime calls for the destruction of Israel and refuses to compete with Israel in international sporting events, yet it sees no problem in having a reporter inside Israel. And there I was, sharing a panel with him, in Yafo port, just outside of Tel Aviv. Would Iran allow an Israeli channel on its soil? Think again. It does not even allow BBC Persian to have an office. This is in addition to the fact that the Washington Post correspondent in Iran Jason Rezaian was recently arrested for unknown reasons. Our free press in Israel is something to be tremendously proud of. Here is an interesting report which Hamad prepared, not for PressTV. Its a message of support and love from Israel, from an Iranian in Israel who also seems to be leading a Christian Zionist group. Iran loves Israel (weapon merchants)? 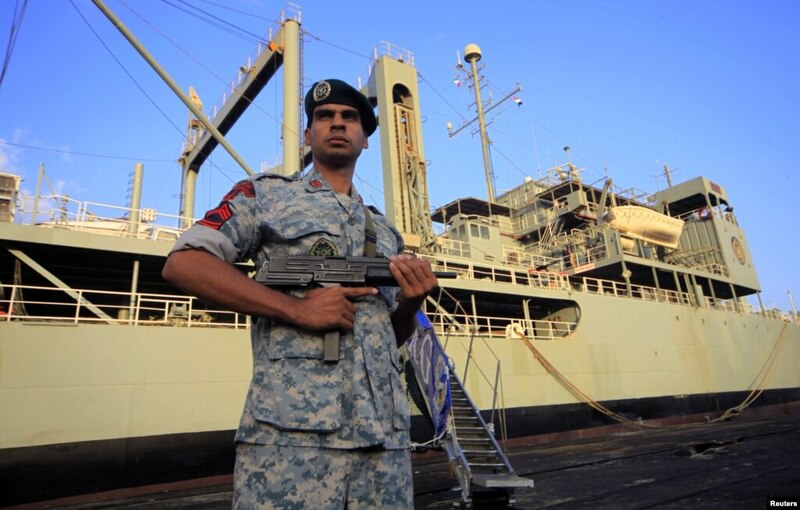 For the second time this year, Israelis are suspected of selling weapon related systems to Iran. Looking at both cases, an interesting patten emerges: Iranian defense officials seem to have a soft spot for Israeli weapon merchants. They seem to trust Israelis. That somehow despite all the animosity, they seem to have no problem getting Israelis to buy equipment for them. Otherwise why allow someone by the name of Eli Cohen (the man arrested today) to buy spare parts for their fighter aircraft? In another case this February two religious Jews by the names of Avichai Weinstein and Eli Cohen (could be the same person as arrested today) were also suspected of selling F4 spare parts to Iran. The Iranian defense establishment is highly paranoid and suspicious of Israelis. To them, every foreign Jewish person is a potential Israeli agent. So why are they allowing Weinstein and Cohen to buy weapons for them? don’t they suspect them of acting on Israel’s behalf? aren’t they worried that they could be part of a ploy to embarrass them? One potential answer here could be that Israeli weapon merchants have proven their worth to their Iranian clients before. This is why the Iranians trust them. Its possible that these arrests are showing us a tip of the iceberg. That in fact over the years Israeli merchants have been in charge of selling weapons to Iran, and we are now getting some exposure to it now. Its also possible that the Iranians were somehow fooled into believing that they were dealing with people of other nationality. That Mr Cohen and Weinstein were so good at covering their tracks that the Iranians had no idea who they were dealing with. 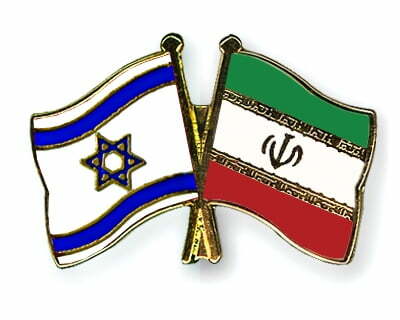 An Iranian rapprochement towards Israel? Over the years, the Iranian government and the Iranian regime (The Deep State) have been quite hostile towards the state of Israel. The Iranian regime especially. But now there is a sign that they may be changing. Wow, think about it, German Nazi space aliens have been running the US for all these years. Including the White house, US policies, and all the rest. “So how is that a sign of rapprochement from Iran to Israel”?, I hear you ask. “German Nazi space aliens”. Not “Zionist German Nazi space aliens”. I see progress here. Really. The times are a-changing. So next year in Iran? But how? Well, the answer here might be found in space (again).